This Newari bride is dressed in a rich red and gold brocade dress and shawl. 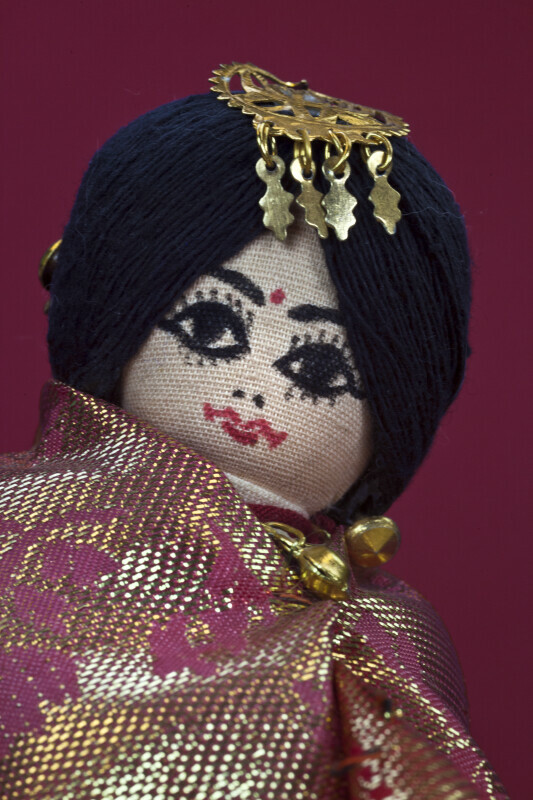 She is made with fabric, with black string for hair and a painted face. She is wearing a gold head ornament (referred to as lunya swan), and has gold earrings. The majority of the Newari people live in the Kathmandu valley in Nepal. Weddings are arranged by the families and have many traditions, such as the groom's family giving betel nuts to the bride. The figure is 8 inches (20 cm) tall.